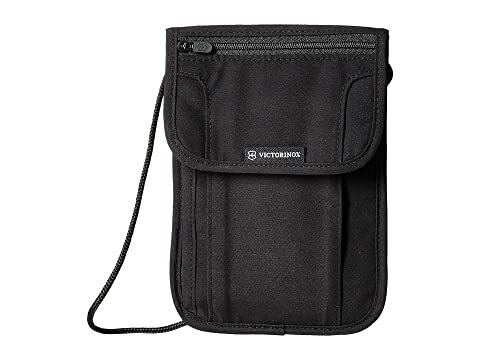 Protect important travel documents and money from theft while you travel with the Victorinox® Deluxe Concealed Security Pouch w/ RFID. Neck pouch tucks inside clothes and features soft, nylon fabric backing which is comfortable against the skin and promotes airflow to keep you cool and dry. Adjustable neck lanyard can be shortened or extended for multiple carry lengths. 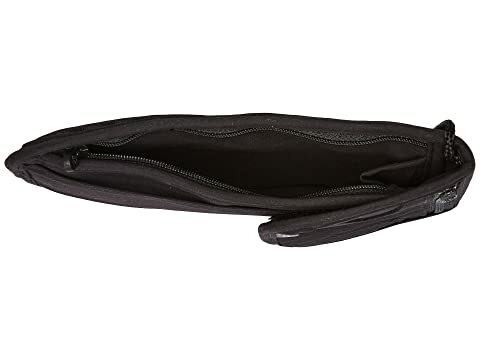 Hook-and-loop flap closure flips up to reveal an exterior zippered pocket with elastic zipper pull cover to hold the zipper in a closed position for additional security. Large compartment stores tickets, passports, traveler's checks and most sizes of currency. Two zippered pockets are ideal for holding coins and other loose, easy-to-lose items. 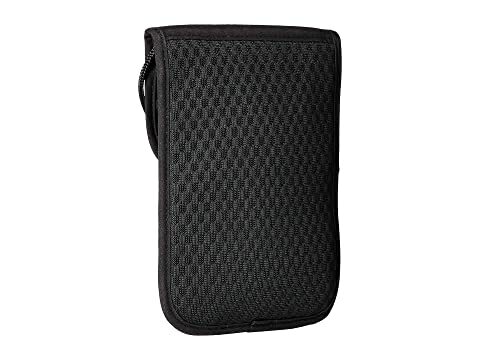 RFID protection technology safeguards personal data stored on RFID microchips in passport, credit cards and ID cards.